1808: Will We Ever Finish This Movie? 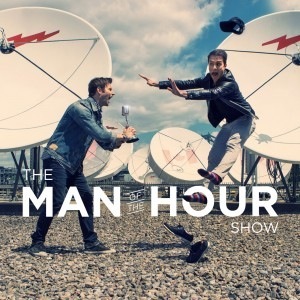 On the latest episode of Man Of The Hour, we learn that clapping gloves are made of crocodile leather, cover the reasons to listen to MOTH rather than watch Arrow, and come to the revelation that LeBron James can actually act. This week, Patrick and Seb discuss snappy claps (the method for not overcheering) and internet jokes, while wondering if hipsters know that they’re hipsters. This week, MOTH rocked your Wednesday with stories of reliving Halloween through your children, a food pyramid consisting solely of candy, and 24 hour skiing challenges.